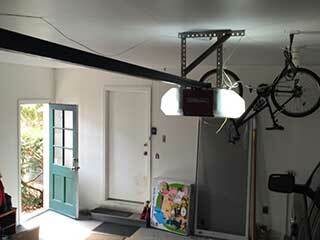 Many people believe that garage door openers do not require any kind of care. This is a huge misconception which can cost you a lot of money and time in the long run. Just like every other part of the system, this device and its various components require proper maintenance to be carried out on a regular basis. Each and every garage door maintenance routine begins with inspection and the one which is applied to openers is not different. The drive, the motor, the trolley, and the circuit board must all be examined for wear and tear damage. It is crucial for you to pay special attention to the cable which connects the power unit to the electric outlet as well. The cord must have thick and elastic housing with no visible signs of damage. It must be protected from moisture and direct exposure to UV light. This is a crucial and very simple task that can save you time troubleshooting a problem. Surprisingly or not, some opener models require lubrication maintenance too, just like other moving metal parts of your door. Lubricant has to be applied to the drive of chain and screw drive garage door openers. The choice of lubricant depends on the recommendations of the manufacturer, so check your owner's manual before buying one. Some brands have their own products which have been specially formulated for the purpose. Naturally, it is best to use those. You need to apply a thin layer of the lubricant to the chain or the screw head so that it will operate smoothly and as quietly as possible. Be sure to operate the unit a few times afterward to make sure the lubrication is spread properly. Every opener model that meets the UL 325 standards has a safety reverse mechanism. It is essential for the mechanism to be tested on a regular basis so that any issues can be resolved as soon as possible. The test involves placing an object under the door when it is fully closed. This object must not block the safety sensors, in order to first test only the auto-reverse function. A double sided step ladder is a good choice, or a tall barstool, for example. You need to push the button on the remote to start the closing action. The door should reverse when it touches the object you placed. If it fails to do so, the opener's force limit settings need to be adjusted. To test the photo eye sensors, remove the object and then close the door again. While it's moving, wave a broomstick in front of the sensors. The door should reverse as a result. If it fails, the sensors should be realigned or replaced. As part of a proper opener maintenance routine, you should test the manual release handle or cord as well. It should work properly when used as per the instructions in the owner's manual. If it fails to disengage the unit like it's meant to, you need to have the problem fixed as quickly as possible. Our experts at Garage Door Repair Millcreek will be happy to lend you a hand.